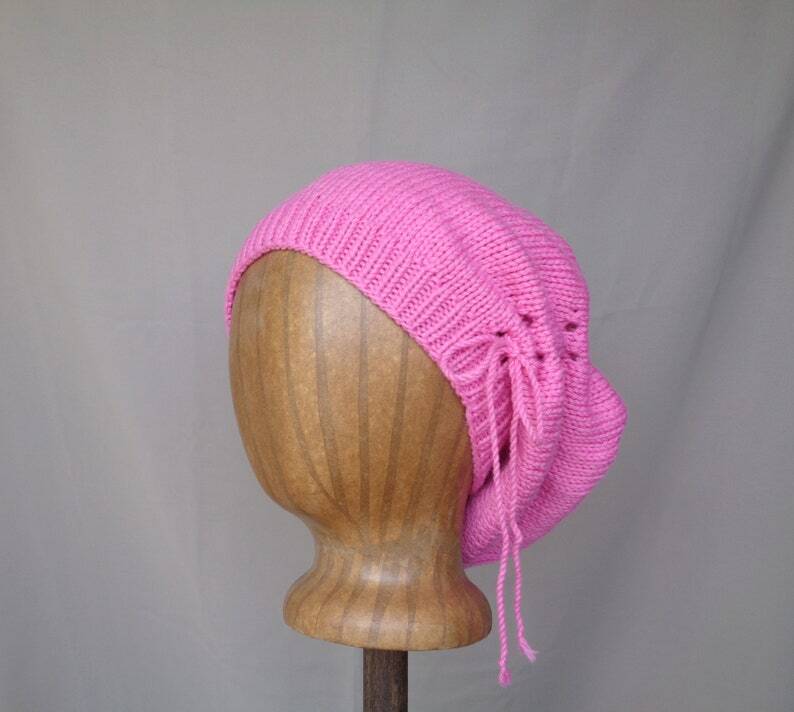 This cute scrunch slouch hat has an unusual twist - I added a gathered "scrunch" section that can be worn to the side or back for a chic look. A bright bubblegum pink will appeal to women and teen girls, it's happy and cheerful! Features a ribbed band, stockinette body and full, ruffly top. Use the adjustable drawstring to tighten or loosen the gathered section. Entirely hand knit, in a soft wool yarn. Wool is warm, yet allows your skin to breathe for a natural temperature.